Does your best friend need to burn off some energy? Planet Dog Recycle Ball is perfect for bouncing, tossing and fetching. Your pup might hold onto the ball a little longer to enjoy the minty flavor, giving your throwing arm a rest. 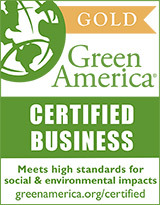 Planet Dog toys are made with non-toxic materials in the United States. Recycle products are made with leftover materials from the toy injection molding process. Planet Dog aims to make the planet a better place by unleashing the power of play. Color varies so your pup will be surprised!